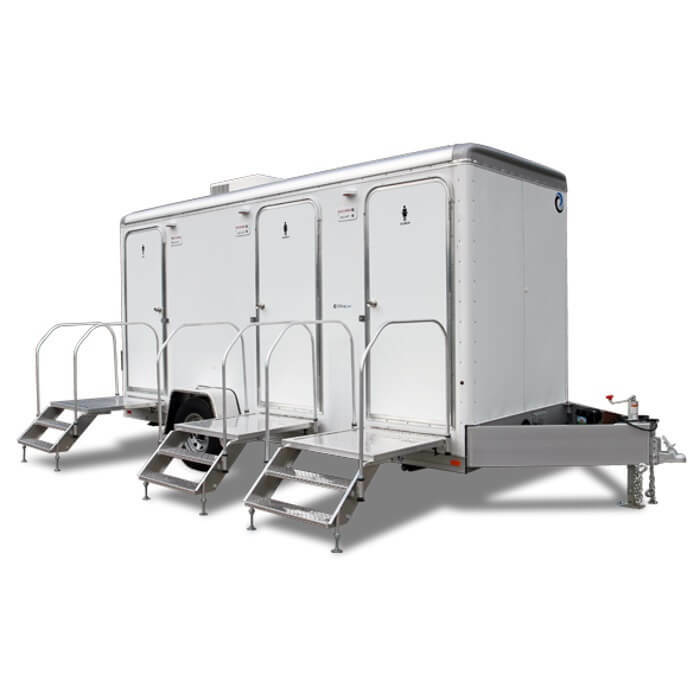 The Comfort Elite Platinum restroom trailer is a top-of-the-line restroom trailer available through Moon Portable Restrooms. 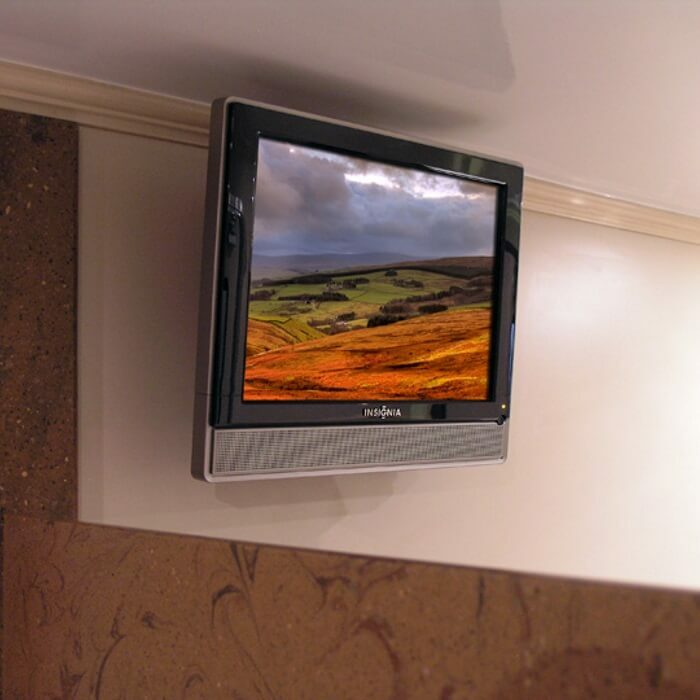 If you are hosting an outdoor event that requires luxurious bathrooms, look no further. 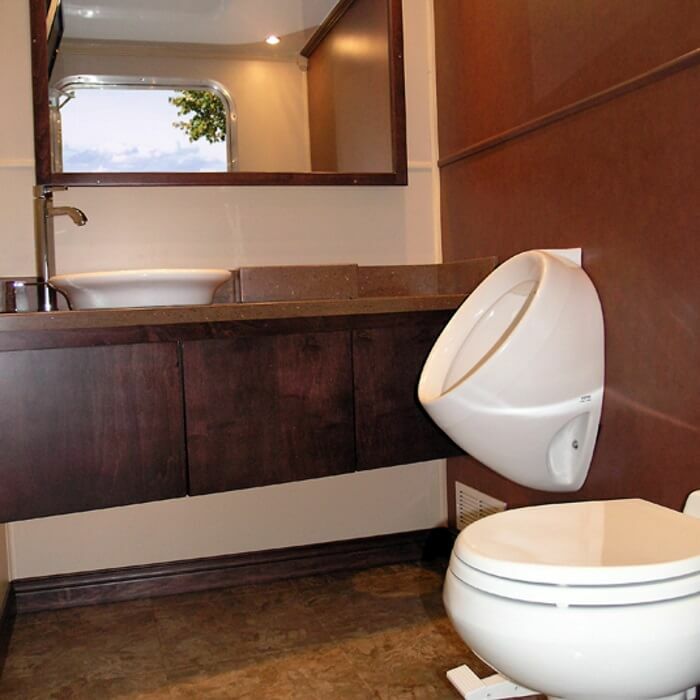 The Comfort Elite Platinum offers 1 men’s cabin that includes a urinal and 2 women’s cabins. 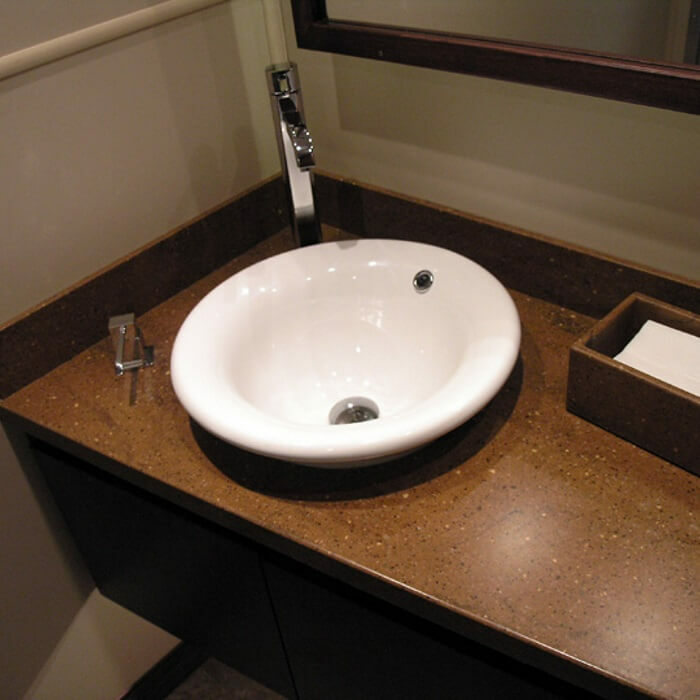 Each cabin offers 100% privacy and features a personal sink and mirror. 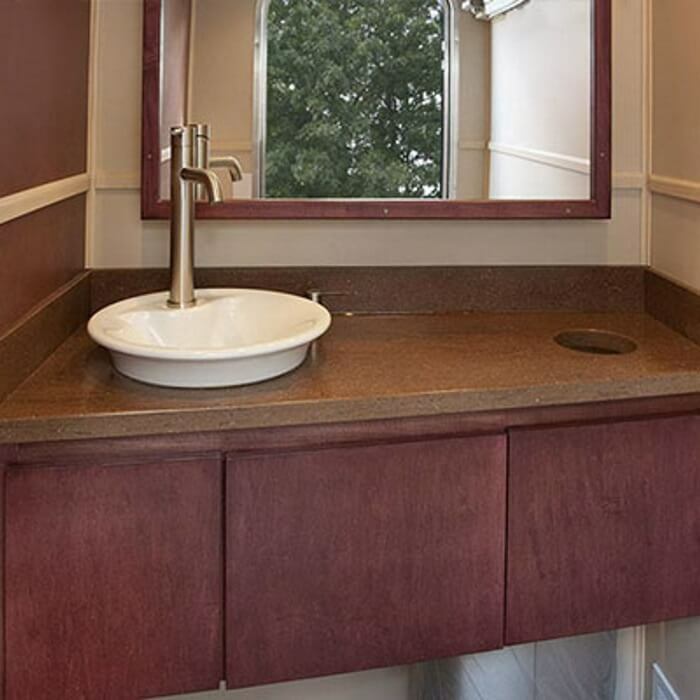 With the Comfort Elite Platinum, you get a fusion of chic elegancy and contemporary flair that result in beautifully styled bathrooms with upscale amenities.The Comfort Elite Platinum restroom trailer features vessel sinks, Corian countertops, stereo music and flat screen televisions and a DVD player. The Comfort Elite Platinum requires a 12’ x 16’ area of level ground, a 110 volt / 20 amp dedicated circuit, and a water source within 50’ of the trailer’s resting spot. These requirements assure that the Comfort Elite Platinum works to the best of its abilities and offers your guests a comfortable and luxurious place to go. If you are planning an outdoor event and want more information about the Comfort Elite Platinum or want to schedule a delivery date and time, contact Moon Portable Restrooms today! 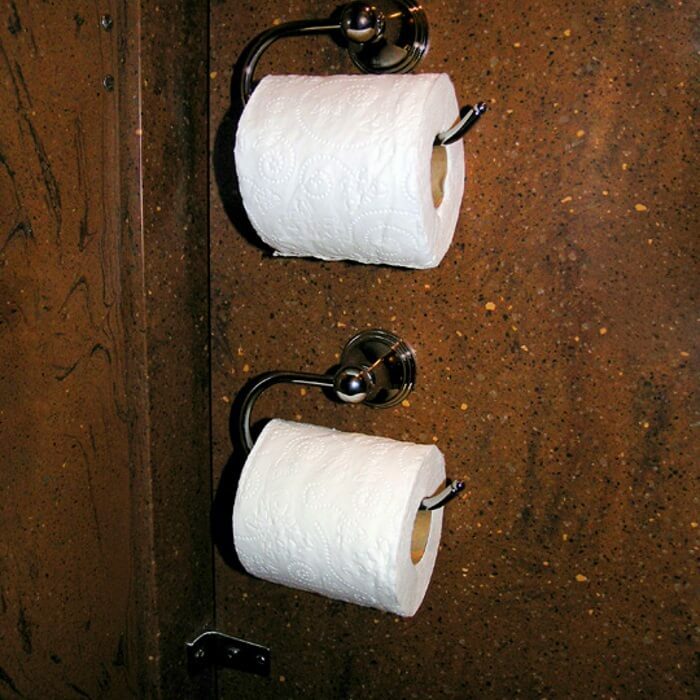 We can be reached at 502-776-2199 and would be happy to help answer any questions you may have or get you set up with a luxury restroom trailer rental today!